Missouri Gov. 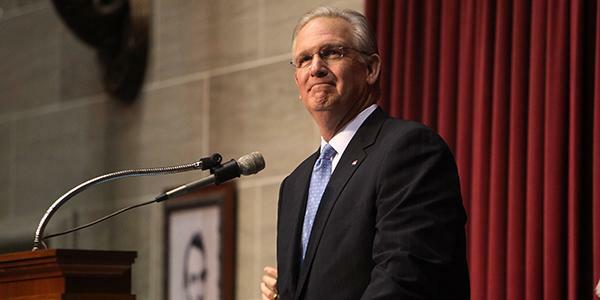 Jay Nixon is heading to South Korea and Taiwan to sign several trade agreements. The governor plans to depart Friday for a weeklong trip. He is to be accompanied by first lady Georganne Nixon, the directors of the departments of agriculture and economic development and four state lawmakers — Republican Sen. Jay Wasson of Nixa; Senate Democratic leader Jolie Justus of Kansas City; Republican Rep. Lincoln Hough of Springfield; and Democratic Rep. Gail McCann Beatty of Kansas City. The delegation also includes representatives of several businesses, agricultural groups and universities. The governor's costs are being covered by the Hawthorn Foundation, a nonprofit organization that promotes economic development. The itinerary includes a visit to Taipei, Taiwan, on March 17 and Seoul, South Korea, on March 19.